The Dirty Duo is for trail runners and mountain bikers! 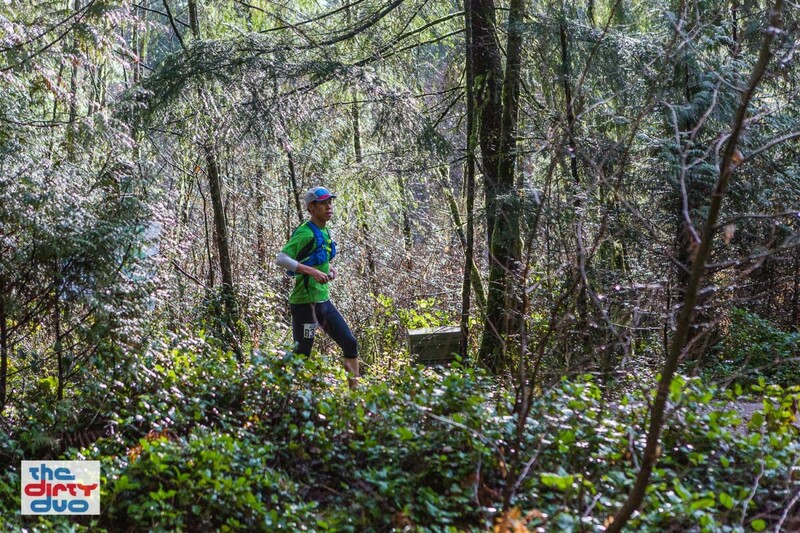 This trail race brings both sports together to share what living and playing on the rugged North Shore trails is all about! This scenic trail race will challenge beginners as well as extreme athletes and there is a course for everyone. The 15K run is perfect for those who would like the excitement of the Dirty Duo without the pain of the extra hills in the 27K, while the 27K run provides an extra challenge for those who want to get dirty. There is double the pleasure in the 50K run (you get to do it twice - a little bit differently each time!). Then there is a fun, technical 27K cross country course designed for “maximum enjoyment” for our mountain bikers! Finally, you can grab a buddy and do a relay (no fighting over who runs and who rides), or do it all yourself! !